If you own a leather jacket, a suede jacket, leather pants or a leather vest, you should take proper care when cleaning it. Don’t try to clean in on your own, you might do more harm than good. Leather and suede cleaning should only be done by a trained professional with the proper cleaning agents to ensure the longevity and good looks of your garment. 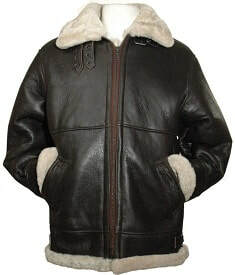 Because leather and suede garments are a big investment the proper care should be given. If the garment should become stained, you should have it cleaned as soon as possible. Certain stains can create a color loss to the skin, making it difficult to blend in with the rest of the garment. The process to clean a leather or suede garment is done in an environmentally safe process with new products that are now in the marketplace. This allows the leather and suede specialist to use a water base chemical instead of the old cleaning chemicals that are not so environmentally favorable. The customer should know that the leather and suede being cleaned is cleaned differently than traditional dry cleaning methods. The customer should take the leather or suede to the leather cleaning specialist to insure the proper cleaning process is performed. This will avoid there being any color loss to the garment that will happen if the garment is cleaned by conventional dry cleaning methods. The specialist will correct the color loss by adding color back to the garment making it look new again. Because the garment is an animal skin many color shades may appear, the leather cleaning specialist will determine how to restore the color so the garment looks natural. It is only natural that the skin may change color shades due to wear and natural day light. When the leather or suede garment is not being worn, the garment should be stored in a cool, dry, moisture free place such as a dark dry closet. Why? This will keep the skin from getting dry and brittle. Also it will prevent any mold and mildew from getting on the skin and ruining the skin. You want to keep the garment from losing color, thereby keeping its natural look. In certain instances if there is a lot of fading, the leather and suede specialist can use a color spray gun to restore a natural look to the garment. If a leather or suede garment should need any mending, such as tears, re-sewing a seam, or having the sleeves shortened or lengthened, or any other type of alteration, a tailor or seamstress with experience working on this very special material should be found. This is just as important as having the leather or suede cleaned by the leather and suede specialist. Because the item is an animal skin, it can take many different shapes from normal wear. A good experienced tailor will know how to re-shape the garment to give it a perfect fit for the customer. Sometimes the leather or suede garment can shrink because it is an animal skin, which is all the more reason to take proper, professional care. By cleaning the garment at least once a year it will allow the cleaning specialist to shape the item to a natural fit. This is done when the item is being steamed during the pressing process. Send Me Coupons + Special Offers!